Turns out you can create an affiliate business with WordPress in a jiffy and without breaking a sweat. Most definitely, we won’t ignore the fact you need to put in work to realize results because you can’t get anything for zero effort. And in this post, we show you exactly how to set up an affiliate business with WordPress easily and without breaking the bank. Read on to learn how you can create your own profitable affiliate business with WordPress. What is an Affiliate Business? Affiliating is a business model that involves promoting somebody else’s products and earning a commission whenever you make a sale. 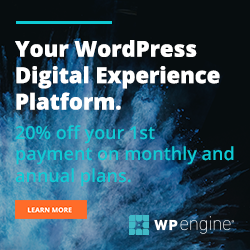 Say you’re promoting WordPress themes, for instance. If you send prospects to a theme shop and someone ends up buying a theme, you earn a commission for that sale. Are you following? Most affiliate programs offer you a dashboard area where you can track all of your earnings. On top of that, most programs supply you with marketing collateral to use in your promotion campaigns. On top of that, you don’t need to own the products you’re promoting – just ensure you’re marketing high-quality products. If you can test a product before reviewing it, the better. However, it is not necessary since there are products with great ratings already – just pick the best. A website where you will promote products. WordPress makes creating affiliate websites as easy as A, B, C what with a plethora of affiliate themes and plugins. The right products to promote. The rule of thumb here is to go for products you’re using or passionate about. Don’t promote shoddy products just to make money; you’ll flush your reputation down the drain, and your WordPress affiliate business will follow soon after. The right type of content. Reviews work like magic, but so do how-to guides and in-depth tutorials. Before we get down and dirty, I would like to mention that I am using WordPress themes for the purposes of illustration. You can promote any product under the sun as long as there is an affiliate program for the said product. Also, we are not creating an affiliate program so people can promote your products. Nope, that isn’t it. We are creating an affiliate business, so you can promote other people’s product and make money from commissions. That out of the way, let us create a simple affiliate business with WordPress. Affiliating just like any other business needs a solid plan from the start. Before you do anything else, it is important to have a clear picture of your business goals. Create a blueprint of that which you wish to achieve and how you will achieve it. Which product are you going to promote? And why are promoting the said product? How will you promote the content you create to get the best conversion rates? After you’ve brought traffic to your site, how do you plan to convert the visitors into buyers? The above three points should offer you a solid basis for a business plan. With a plan in hand, let us delve deeper into the details. Perhaps, like yours truly, you’re a WordPress blogger who feels that promoting WordPress themes is an amazing opportunity. But is there a market for WordPress themes? Of course, there is a market for WordPress themes, just not all WordPress themes. For instance, do you think there is a strong market for fixed-width WordPress themes? I bet not, which means you’d fair badly if you promoted fixed-width themes, even if they are WordPress themes. Say you plan to promote Xmas decorations. Do you think promoting Xmas decorations is a viable option for your affiliate business all year long? I don’t think so. Yes, you might make a killing over the holiday season, but nobody wants Xmas decorations once you go back to work in January. We encourage you to go with products that have high demand and reasonable prices throughout. What does that even mean? Say you want to promote a course that costs $1000 per month at a commision rate of 5%. Getting two sales a month will leave you with $1000 x 2 x 0.05 = $100 bucks. On the other hand, say you’re promoting a product that costs $50 at a commision rate of 30%. Selling 10 products a month will leave you with $50 x 10 x 0.3 = $150. Considering that promoting a $1000-dollar course is harder than promoting a product that costs $50 bucks. Most importantly, keep the needs of your audience in mind when choosing products. For starters, you can never promote products that aren’t interesting to your audience. Secondly, you cannot afford to confuse your audience with different products. In a simple line, promote high-value and low-cost products that are relevant to your target audience. You need the visitor to click your affiliate links and buy, so it’s best to offer them exactly the products they need. If that means a $1000 camera or a $50 doormat, that’s what you’ll promote. In addition, go for products and programs that offer high commision rates. And please avoid dirt-cheap products because you will need a lot of traffic to make money even if the commision rate is high. Think of it for a minute; even if you were offered 70% for a product that costs $2 bucks, how many pieces would you need to sell to earn a living? There are a million and one affiliate programs out there. To find an affiliate program for a specific product, simply Google “[product name] affiliate program”. For example, “WordPress theme affiliate program.” This allows you to find independent affiliate programs. You can also check out affiliate networks such as ShareASale, CommissionJunction or Amazon Associates. I found out that independent affiliate programs have better commision rates than affiliate networks but shop around for a program that suits your needs. If you already have a website, creating an affiliate business with WordPress becomes a matter of choosing a product and creating content. If you don’t have a WordPress website, creating one is as simple as we detailed in how to create a WordPress blog. You need a professional affiliate website that’s not only visually appealing but also user-friendly. For that, you can choose a pre-built WordPress affiliate theme or customize any other theme you fancy. With a presentable website ready, you will need a plugin such as WP Product Review Lite (there’s a pro version as well). The plugin linked in the foregoing statement helps you to create a ratings and reviews section to go with your reviews. I talmbout something like this. Spoiler alert: I’m in the process of creating an affiliate business with WordPress myself. The screenshot above is from one of the reviews I will publish soon 🙂 On your own time, you can follow the progress (or even subscribe) at WP Theme Raves. Shameless plugs aside, let us get back to business. Configuring a plugin such as WP Product Review Lite is easy, so I won’t go into the details. Now, you only need the affiliate links (which you get from the affiliate program you choose). But affiliate links are often too long and not user-friendly. For that, you need a link shortening solution such as the Pretty Links plugin. Doesn’t look short or user-friendly, right? And don’t get me started on Amazon Associates affiliate links. Oh God, those links are an eyesore. Pretty Links allows you to convert the above link to something like. You will agree our second link looks way better. It is easier to share, and visitors won’t fear to click. In my own honest opinion, these are the only two plugins you need to create an affiliate business with WordPress. Content is the lifeblood of all websites. A website with no content is, well, no website. Your affiliate website is not different. But what kind of content do you need for an affiliate business? My first choice is review posts. Create detailed reviews of the product – the kind that will make visitors want nothing more than to click your links and buy. If I were you, I would steer clear of salesy or overly promotional content. Have you used the product prior to writing the review? Great! Just detail your experience. You can also make use of the promotional materials provided by the product creator. Just don’t believe the hyperbole; do you own astute research to ensure the product you promote is worth its weight in salt. Many users love reading reviews before making a purchase, and you can fill this need with your well-written reviews. Hire a professional blogger if you must, just ensure your review is better than what is available out there. Whenever you are stuck, don’t you run to Google for help? Most likely, your searches begin with the “How to…” phrase. Well, how-to guides are popular among searchers. As such, this type of content can send a lot of traffic to your affiliate website. Alongside your reviews, endeavor to create how-to guides for the products you promote. For instance, and going with our WordPress theme analogy, you can create articles such as “How to Create a Business Website With Total WordPress Theme” or “How to Install a WordPress Theme” among others. The secret here is to provide the answers your prospects are looking for. Answer these questions and you’re golden. You can even drop your affiliate links in your how-to guides, or link to your detailed reviews. Tutorials that show your visitors how to use a product are a great way of creating authority and building a brand. Reviews and how-to guides are awesome at creating authority and brand awareness, but in-depth tutorials take your game a notch higher. You want to establish yourself as an expert in your chosen field whether you’ll sell Star Wars merchandise or digital products. Why? The user needs to trust you to click and buy based on your recommendation. They are more like to buy via your links because you’re the only expert they can trust in your field. Bottom-line: Create amazing content that will carry your website, hence your affiliate business, to the future. Remember your content represents your brand, so there is no room for poor content. Additionally, don’t forget SEO (mostly keyword research) and other forms of marketing. At this juncture, you should be able to choose the right product (yes, the product you’ve been thinking about all along), set up a presentable affiliate website and create amazing content. If you need to learn more, however, here are a couple of resources to point you in the right direction. If you just skimmed through the post or need a reminder, here is how to create an affiliate business with WordPress. Choose a profitable product. Go for products you’re passionate about. Products you use are ideal, but not necessary. Just don’t shortchange your readers by promoting poor products. Build an affiliate website with WordPress. There are plenty of affiliate themes and plugins available at your disposal. 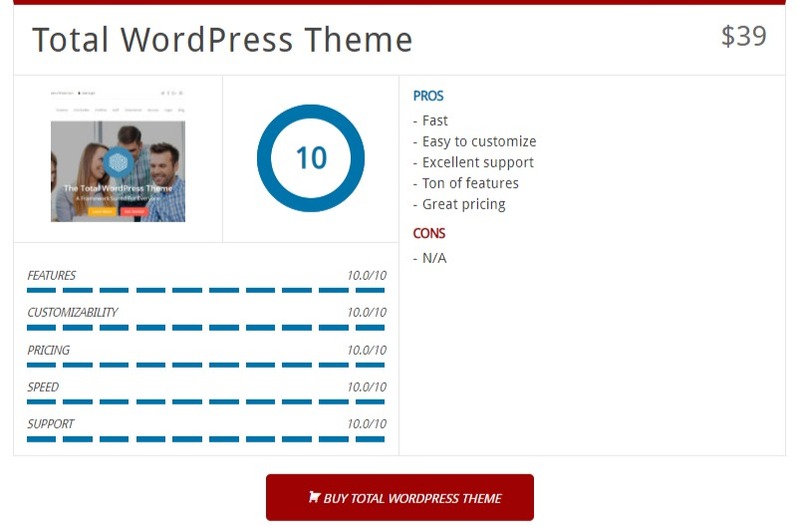 Alternatively, you can customize any other theme and use plugins such as WP Product Review Lite and Pretty Links. If your budget allows it, you can even hire a developer to build a custom bespoke solution. Creating an affiliate business with WordPress is easy and fun – especially when you start making money 🙂 Still, you can’t expect to earn without applying yourself. So invest time and effort in research, picking the right products and creating awesome content. Don’t forget to study your audience beforehand to understand their motivations, interests and ultimately the products they would buy without thinking twice. If there is demand, and the commission rate looks good, I say go for it. Just don’t sell your soul to the devil for a coin. Have any questions or suggestions? We look forward to hearing from you and helping in any way we can. Please don’t hesitate to share in the comment section below. Experienced in WordPress, Freddy is a prolific blogger offering you exactly what you need to boost engagement on your WordPress-based business. All the posts you receive are ready to publish. Save $100s of dollars.